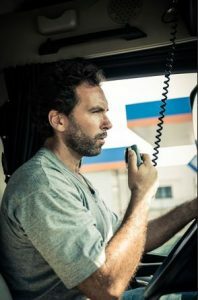 Truck Drivers: Here's How You Stay Cool This Summer | Platinum Drivers Inc.
Summertime and the trucking is… hot. When temperatures rise above 90 degrees outside, trucking (and other jobs) can become “challenging” to say the least. While you can’t bring a blow-up pool with you, there are some ways to stay cool in the summer. First, when’s the last time you checked your antifreeze concentration levels? You’ll want to make sure your levels are “right on” so that your air conditioner will operate efficiently. Your cooling module needs to be maintained from the radiator mounts to the fan clutch. Wash off the air conditioning condenser and radiator, getting rid of debris. A clean, debris-free condenser will ultimately help you stay cool in the cab. If you want to avoid tire blowouts when the weather’s hot outside, make sure to check your tread depth and monitor your tires for under/over inflation. There’s nothing worse than having to stop the truck and deal with a blown tire when it’s sunny and 100 degrees outside! When the weather’s hotter than usual, you, as the driver, need to stay hydrated. Therefore, bring a couple of water bottles with you for your trip. Dehydration can make you feel bad– nauseous, sluggish, and exhausted. Drinking cool water will help perk you up. You can also snack on various fruits and veggies like cucumbers, which have water in them. If you’re like most truckers, your left arm gets sunburned because the sun beats down on it during most of your summer trips. You can use sunblock on that arm and/or wear a long-sleeved shirt to cover up your left arm so it doesn’t get fried. That said, on some days when the weather’s hot and the air conditioner is not working well, it makes sense to drive in a tank top or shirtless if your company is okay with that. Finally, summertime requires some extra attention to maintenance. Check engine belts, fluid levels, wiring, cables, and batteries frequently, since the hot air can mess with them. The more you care about your truck, the less likely it’ll break down when you least want it to: 100 degrees and full sun– whoa! If you’re looking for a reliable truck driver from a truck driver placement agency, contact the experts at Platinum Drivers today.